The modern world is rather ambiguous. It has many interesting and different complexities. This is especially true of the media since it has long penetrated into all sorts of social networks, which, in turn, are an integral part of most people. Agree, it is difficult to resist the temptation to go on Facebook, Twitter, Instagram etc. at least once a day. Recently there was news that Instagram crossed the line of 1 billion active users per month. Such an event was the impetus for the creation of Instagram TV (IGTV). This is a kind of new TV channel. Its creators are confident that young people are gradually moving away from watching TV and they need something new and more modern. Therefore, IGTV is aimed at the younger generation and reach the mobile audience with the help of a special channel. Instagram TV is designed for the generation of smartphones, as its format is directed at viewing the vertical video in full screen. It is very practical and convenient to use. The main difference between IGTV and simple Instagram videos is their length. If the Instagram video is limited to 1 minute, at the same time, Instagram TV can offer its users video up to 1 hour. In addition, you have the opportunity to leave your comments and share your favorite video with your friends. Like television, IGTV has different channels. Each creator is a channel, that is, having an account on Instagram and uploading video to the Instagram TV application, you automatically launch your channel. It is very comfortable, isn’t it? 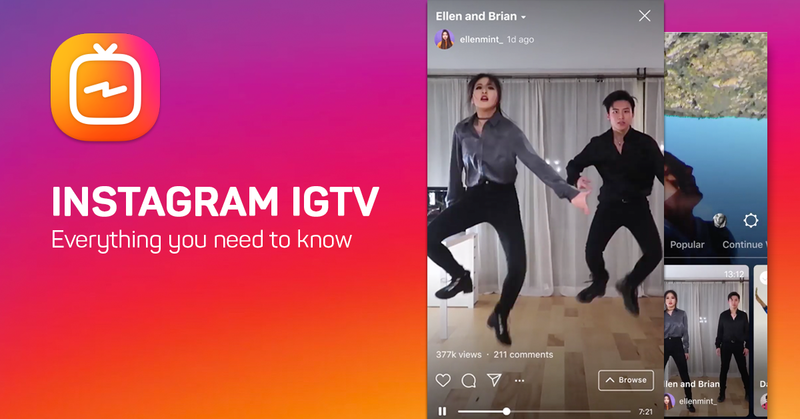 The main features of IGTV: what you need to know? Valid video cover is “.JPG”. Today, Instagram TV does not provide any promotional tools or options. Nevertheless, IGTV developers already have plans to help popular users to earn money through their channels. IGTV, for the most part, aims to collaborate with celebrities, popular and influential people in order to create high-quality and interesting content. This is necessary to attract users to the platform. Many of the world’s leading brands, from the very beginning of the launch of Instagram TV, have begun to use it actively, seeing it as a great way to effectively interact with a young audience. Thus, if you want to be in trend and get your target audience, now is the time to think about the content and launching your own channel, as well as the opportunity to collaborate with brands and other users who have respect, popularity, and influence. 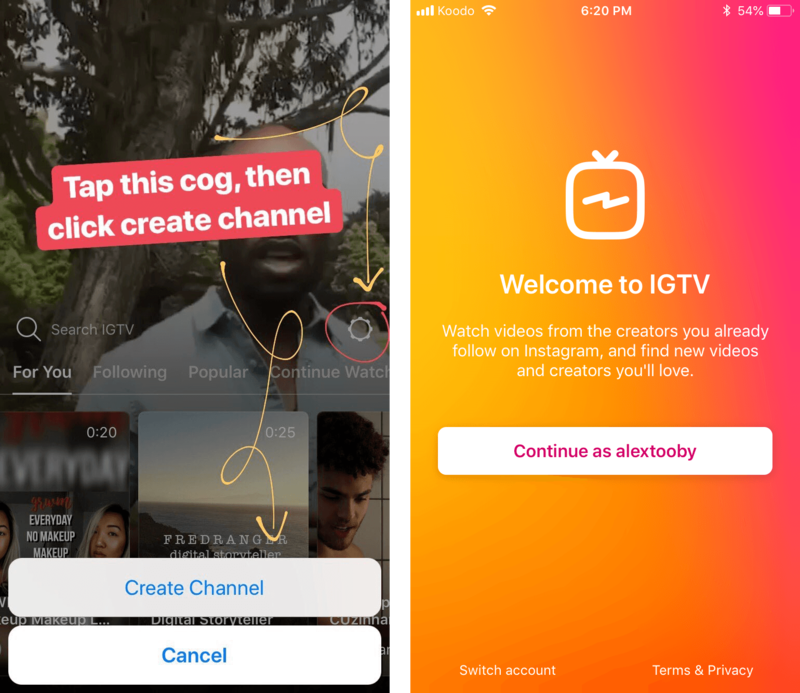 One of the main secrets was exactly where IGTV will exist — whether it will be part of the Instagram application or a separate application will be developed for it. 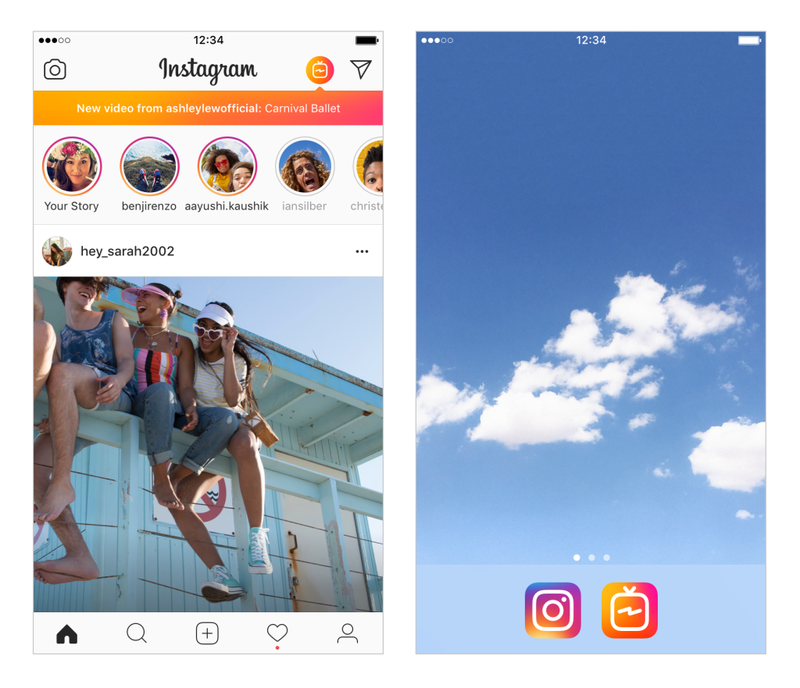 In the result, IGTV received a standalone app and became a separate feature on Instagram. You can use this function through the orange button, which is located on the main Instagram screen of the application. With this button, users would also be notified about the appearance of new content. 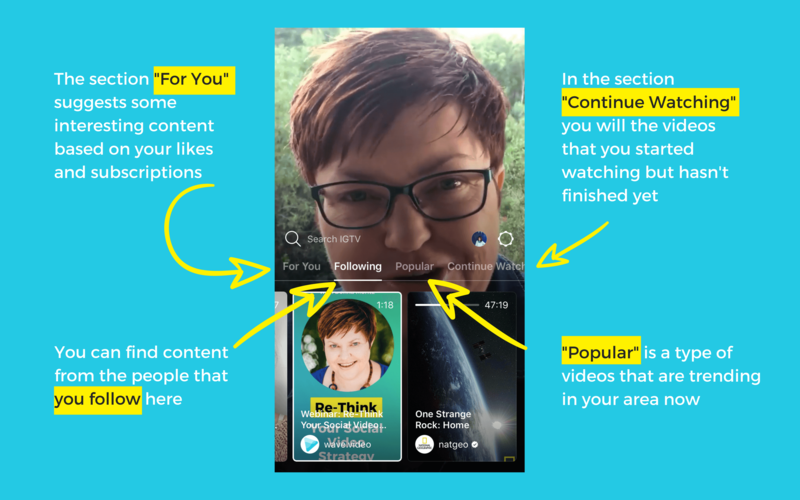 This function could be built on the basis of the stories display system or be built into Explore until it reaches the desired popularity for primetime. Unfortunately, IGTV was unable to achieve its goals and was often ignored by users. It did not get the same boom effect, as happened with Instagram Stories. Most of the audience just skipped this orange button, as well as the offer to download a separate application, and just kept flipping through the news feed, not experiencing any discomfort because of IGTV’s longer videos. 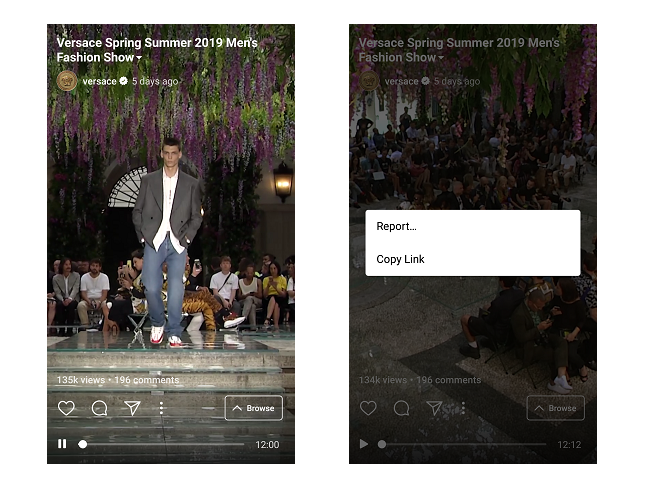 The combination of an unusual format, the lack of a clear understanding of the importance and necessity of use, and a relatively hidden content placement system played against IGTV. For example, Instagram Stories, in the first months of its appearance, became a bright competitor to Snapchat, beating it up one notch. Instagram TV is still very far from competing with YouTube. To do this, it needs a thoroughly thought out and effective strategy for advancing to a far-reaching perspective. In order to get closer to real competition with YouTube, IGTV needs to strengthen its position and provide users with interesting and reasoned content that will motivate them to open the application more often. Until this is done, any Instagram attempts to promote IGTV using cross traffic will be useless and a waste of time. However, a sufficient number of active viewers also plays an important role. 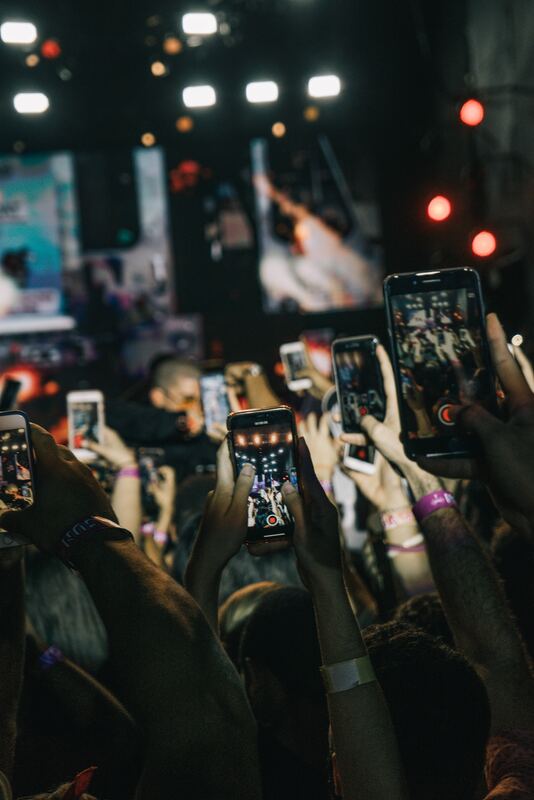 The audience is the driving force that will contribute to the emergence of creators on IGTV, who will have a keen interest in doing something and gathering their audience. Instagram would have achieved better results if it paid to influential creators to launch attractive and alluring content on IGTV. Such financial costs would attract new investors in the future and would bring impressive income. These deals would give the opportunity to fill more than 50% of commercial breaks in videos that are shown on Facebook. All this is more than realistic and possible, but only under the condition that the audience will appear at first. As an alternative or additional lever, IGTV developers can double the strategy to attract influential creators. This will help to achieve a high concentration of interesting channels in the little-known open spaces of IGTV. This will cause great user interest. Thus, the special conditions in the IGTV algorithm in exchange for high-quality content will help attract more stars and popular bloggers. At the same time, it is necessary to take into account the vertical full-screen video format so that analysts, together with partner stars, community and product leaders, can determine what works best in such a format. In order to make the most effective use of IGTV to promote your channel and collect the target audience, you need to follow a few recommendations, with the help of which you will get the desired result. One of the main advantages of Instagram TV is its high functionality and thoughtfulness regarding connection via the desktop. Due to this, you have the opportunity to customize your channel through your mobile device and through the desktop. To start the process of creating and setting up your channel via mobile, you will need to download the free IGTV app (there is an iOS and Android version, select which one you need and go ahead). This application exists separately from Instagram, but you also have the opportunity to access IGTV directly through the Instagram application. After successfully installing the app, launch it and connect your Instagram account to IGTV. Next, you need to make your channel settings. Click on your profile photo. From the pop-up window, select the “Create Channel” option. Carefully follow all the instructions that the system will provide you automatically. After the correct setup and connection, the information that is on your Instagram account will be transferred to your channel. Next, the system prompts you to download the video. Everything is done. 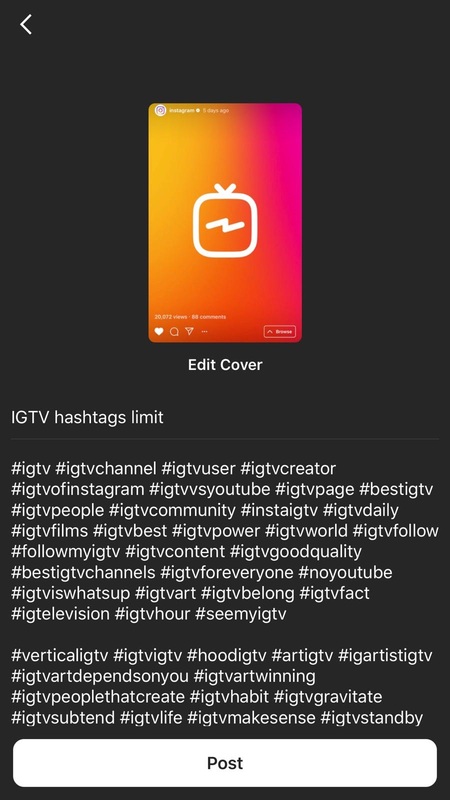 To launch your IGTV channel using a computer, you need to log in to your Instagram account using the Instagram.com website and then enter your username and password. Below the field where your bio is located, you will find tabs with such names as “Posts”, “IGTV”, and “Saved”. You will need the “IGTV” tab. In the tab, click «Get Started». Carefully follow the instructions that the system provides you. Then click “Create Channel” to complete the process successfully. IGTV is only a platform on which you can post your video content. Unfortunately, its developers do not provide the function of recording video directly in the application itself. You can only upload already finished video to your channel. The ideal video is in portrait or vertical mode. At a ratio of 9:16. Nevertheless, the system also supports a format close to a square, with a ratio of 4:5. You should also note that only a 9:16 format would completely fill the entire screen. You have no restrictions on the number of videos you can upload to IGTV. After uploading the video to your channel, it automatically becomes available for viewing to all users who are following you on Instagram, as they are attached to your channel. To unsubscribe from your IGTV channel, they will have to unsubscribe from your Instagram account. IGTV periodically recommends a couple of videos to other users, thereby contributing to the distribution of your content and providing an opportunity to get new followers who are interested in content that is similar to yours. 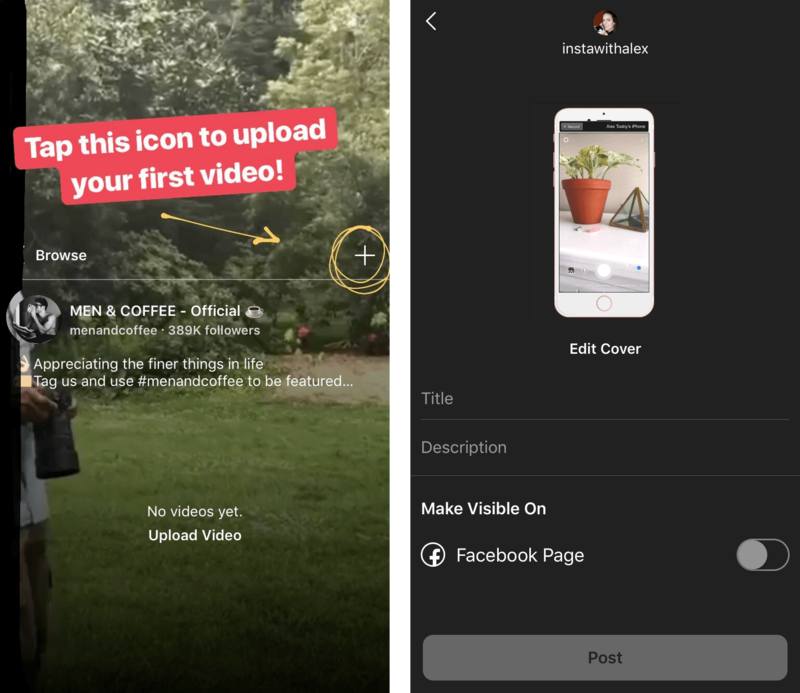 To upload video content to IGTV, you need to click on the “+” icon, which is located on your bio information. Select the video you want to upload to your channel from the list provided by your video gallery. Having decided on the choice of the video you want to play on your channel, select for it an enticing title, a cover, and make an interesting description. Composing the title and description, try to make them as capacious, informative and attractive as possible. They should intrigue and motivate users to view. Keep in mind that the title should not exceed 25 characters. When publishing videos on mobile devices, make sure that the title is spelled correctly, re-read the description to avoid typos since by publishing the material you will not be able to correct it. You can make changes only through the desktop. Images that are automatically offered as a cover are not always perfect. Therefore, to select the most suitable cover, click on «Edit Cover». You will see a pop-up window where you can upload a separate image as a cover or select a suitable frame from the video itself. Successfully completing all editing moments and adjusting the various components of your video, click on the “Post” button. Your video will be uploaded to your IGTV channel. After uploading your first video to your IGTV channel, you will see the IGTV icon in the highlights of the row of your mobile profile. By clicking on this icon, you can bring any user to your channel by opening the list of your video material. In order to upload video content to IGTV using the desktop, you need to move the selected video to the download field. Any account has the right to upload a video, the duration of which is from 15 seconds to 10 minutes. Instagram stated that large accounts could upload videos of up to 60 minutes. However, there is no explanation of what the company specifically means by “larger” accounts. During the video upload process, you can fill in the title and description fields. After the download is complete, you can proceed to edit the cover of your video. Everything is done in the same way as described above in the section on working with mobile devices. If your video is fully ready to be uploaded, you need to click the “Post” button so that it will go to your IGTV channel. In addition, you can save the video as a draft if you do not want to publish it instantly. Even after successfully uploading videos to your channel, you can edit it as needed. For example, if you wanted to make changes to the title or description. To do this, you need to click on the button with three points on your IGTV channel. You will see a pop-up window in which you need to click on the «Edit Video» button. Instagram is trying to encourage users in every way and involve them in the active usage of IGTV. The platform really needs unique and original video content that will be popular with a large audience. Therefore, if you want to achieve your desired goals and make your video attractive, you need to take into account some helpful tips. To create an effective video for your channel, be sure to take into account the following tactics that can be easily implemented when downloading and editing your video files. All videos on IGTV run automatically. Often, users’ devices work with sound on. Therefore, all videos will go immediately with the soundtrack you picked up. Good, high-quality and correct voice and sound, which are an integral part of the videos uploaded to IGTV, give more freedom to the creators of the video. Therefore, choosing a sound and its volume, note that users will immediately hear it. Do not put harsh and too loud sounds from the very beginning because it may scare your viewers. All sorts of conversations, voiceovers, and interviews are among the most successful options and strategies for a pleasant perception of sounds. All URLs that are located in the IGTV video description are the interactive links. They give you the opportunity to redirect traffic to the site you need. All you need to do is add the URL to the description, and it will be converted into an active hyperlink immediately. IGTV is a perfect new platform for many users, and not everyone knows that the video also has a description, and even more so that there may be some links. To attract users to the links in the description, inform your viewers about the presence of the description. You can urge users to act directly through the video material. Keeping users on your channel, especially to watch the video to the end, is not a very simple task. For the purpose of greater user reach, turn on your CTA to make sure that a large number of users hear or see that CTA to achieve the better effect. Hashtags have long become an integral part of the productive content promotion. With their help, you can attract users to your videos, as well as make them more visible. Be sure to use hashtags in the description of your IGTV video files if you want to see as many users as possible. Viewers who will be offered your IGTV video based on their search through hashtags will be able to watch it in full format. A good working strategy involves a thorough analysis of the results of your content. This is a kind of work on the mistakes. Therefore, be sure to take advantage of this opportunity, especially since IGTV provides insights to its users regardless of which device they use (mobile or computer). To access insights, you need to click on the icon with three points on the video you are interested in on your IGTV channel and select the “Insights” option. With the help of insights, you can find out the level of user engagement regarding your video, as well as see the retention rate for views. Your viewers can leave comments on your videos. All notifications you will see mixed with other periodic Instagram notifications. To write a response to a comment on your video, you can reply directly through the general list of notifications or by going to the list of comments on your video. In the second case — just click on the video comment icon on your IGTV channel. In order to start actively using Instagram TV, you do not need to be a television expert, it is enough to decide what your audience likes and what your followers would be interested in. Of course, it is necessary to take into account that Instagram is positioning IGTV as a platform for entertaining and original content, and not as a repository for short personal updates. If you do not know what exactly your audience would like to see on your channel, do not be afraid to ask your followers directly. the young audience will be more willing to watch amateur than professional content. 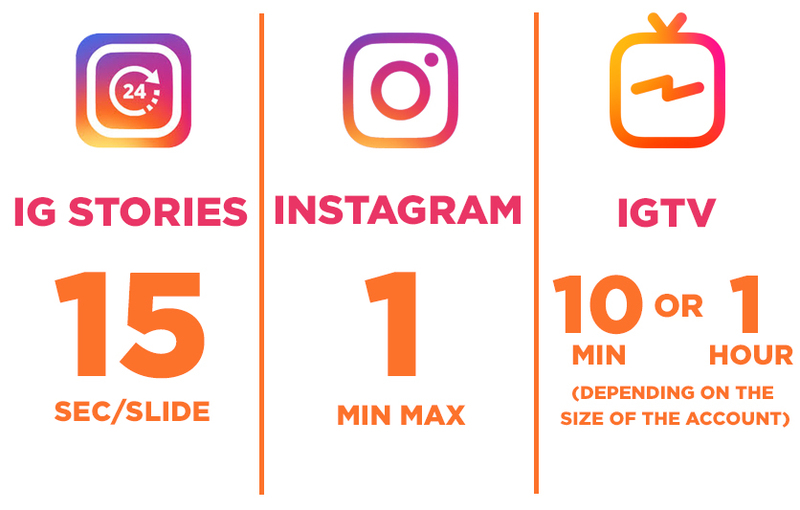 In addition, the main goal of IGTV is to maximize the coverage of a mobile audience, in contrast to YouTube, which is more often used for viewing from a computer and has a horizontal format close to the TV. Therefore, before moving on to IGTV, decide on your social strategy, with which you can actively promote videos with the participation of your brand. Be sure to consider the IGTV format and try to use original ideas that would be perfectly combined with the focus of the application and at the same time demonstrate all the advantages of your brand.